Control MicroSystems provides quality microprocessor-based solutions for a variety of markets. We have a successful track record of working as a pro-active partner with mid-size and Fortune 100 companies. Our products range from low-end systems that replace outdated analog and relay logic controllers to high-end remote wireless networked systems. 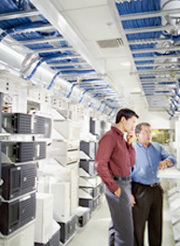 Our systems are custom designed to fit the exact needs of our customers.